Alfred (A,) James Antonini II, Disbarment Decision. The California State Bar Association, Ethics Committee considered charges of theft of client funds, abuse of fiduciary duty, fraud,tax fraud and a decision on disbarment was announced in a private communication. The charges were upheld and Antonini will receive a private reprimand and be forced to take Ethics courses. The public will not be officially warned. Alfred J. Antonini in the NEWS ! Can you have your house forclosed and then be back in it? If your wife sells a house to your company who sells it to you who then sells it to your wife who sells to another of your shell companies from Nevada, How Much Do You Benefit?? This Single-Family Home located at 2778 Hidden Lane, Hayward CA sold for $315,000 on Dec 5, 2011. Price Type Full amount computed from Transfer Tax or Excise Tax. 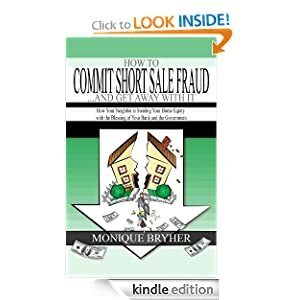 Short sale buyers and sellers need to watch out for these common fraud scenarios. Copyright 2012 Public information. All rights reserved. Ok to republish with credit to ajameaantonini.com Web Hosting by Yahoo!